4. 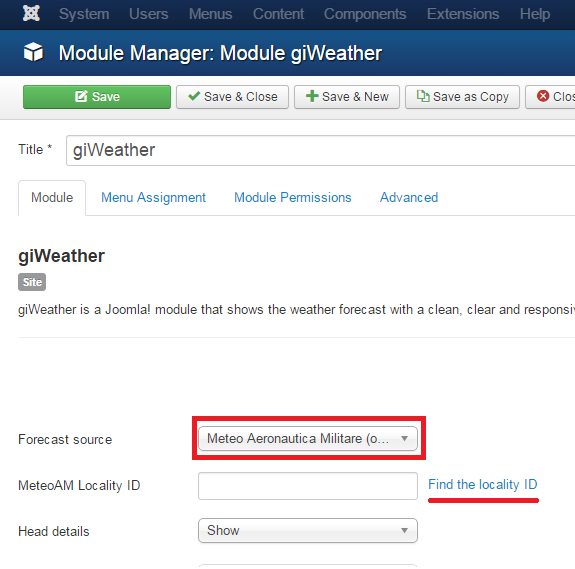 Configure the module and choose where to display giWeather (module position). 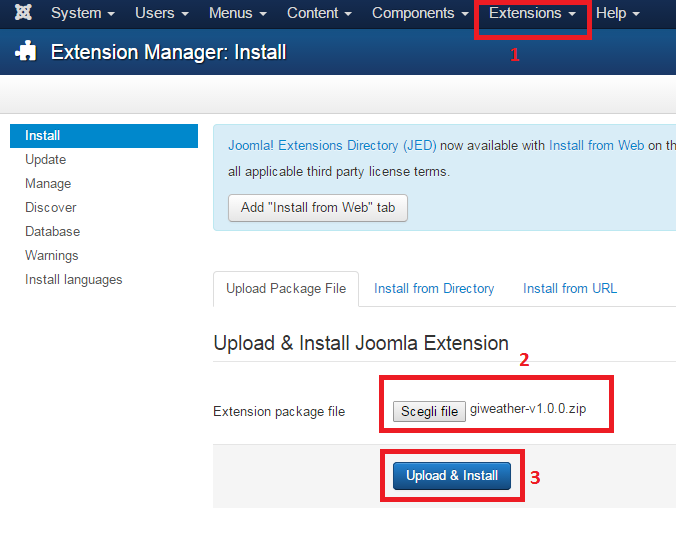 Remember to publish the module. 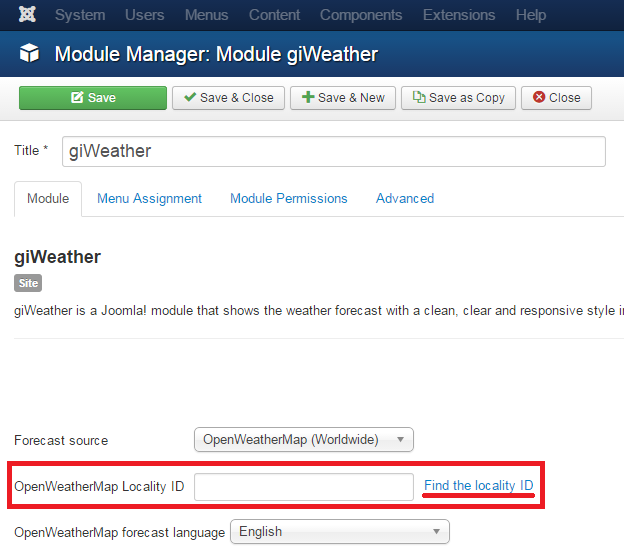 If you don't know the possible module positions of your template you can follow the guide "Finding module positions on any given page" to find them. 5. Remember to double check the module assigment tab. 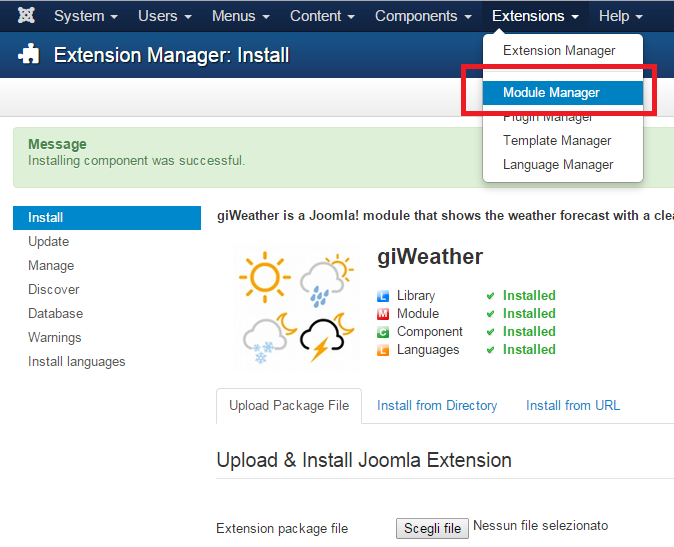 The typical choice is to set the field "module assignement" to the value "on all pages". 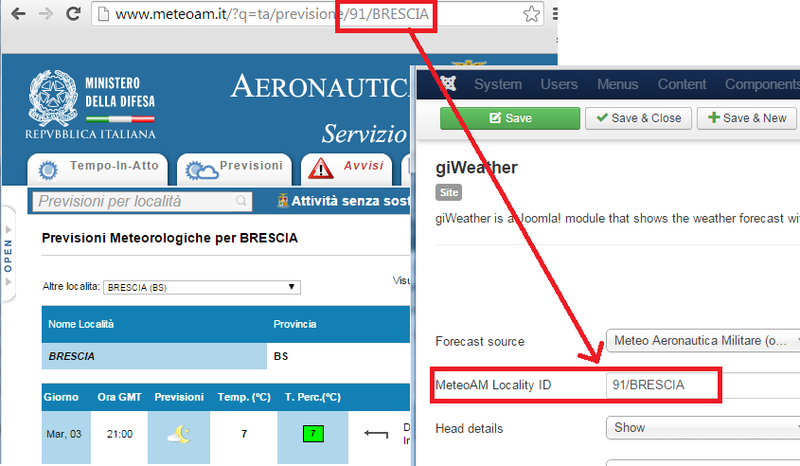 Now giWeather is active and published and you only need to configure the forecast source choosing from: OpenWeatherMap (Worldwide), Meteo Aeronautica Militare (only Italy). 1. 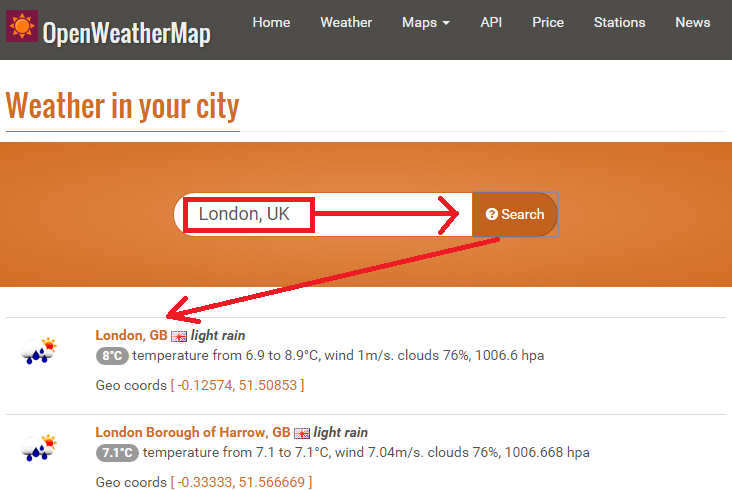 Next you need to identify the id of the locality . 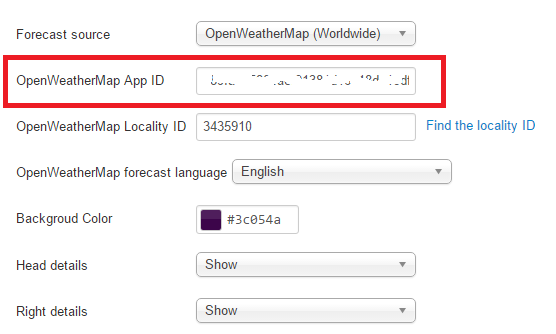 To do so follow the link "Find the locality id" in the module configuration. 1. First you need to identify the id of the locality . 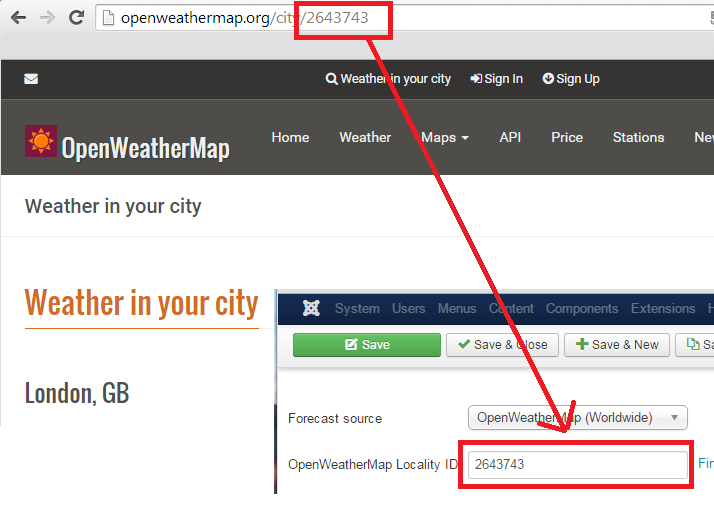 To do so follow the link "Find the locality id" in the module configuration. 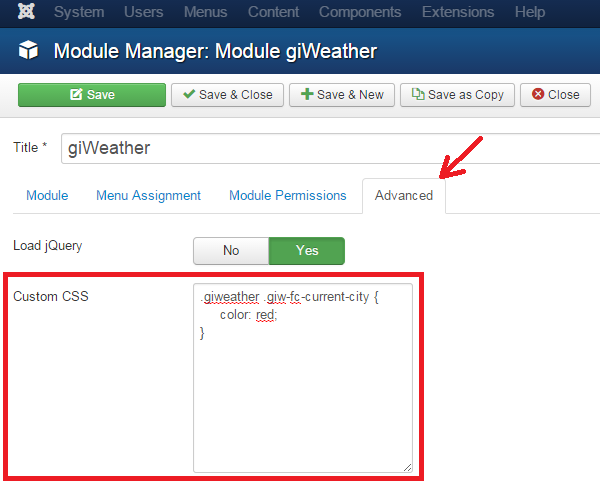 If you want you can customize the appearance of giWeather adding custom CSS style declarations. 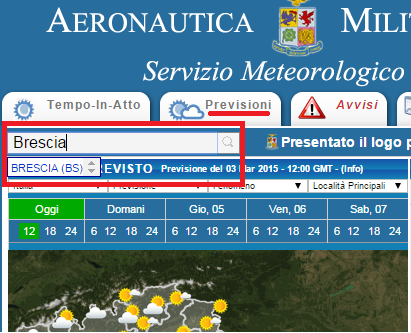 You can find CSS class of each giWeather element with a web developer tool like Chrome Developer Tools or Firebug.